In addition to our regular meetings, we host fundraisers and activities of various kinds, from smaller social events to large tournaments and charity dinners. Read on to find information about some of the biggest events and the schedule of meetings. 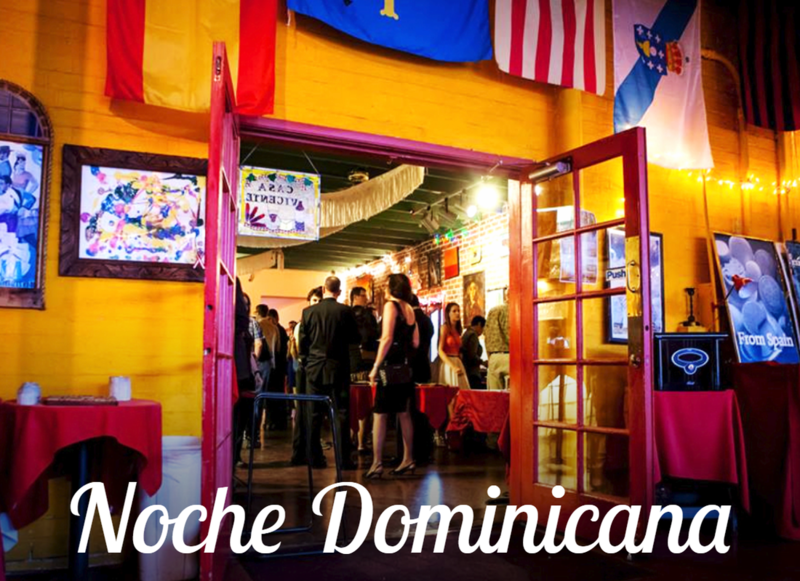 Our annual Noche Dominicana fundraiser is coming up! The primary focus of this year's event is to raise money for our irrigation project in Sabana Mula in the Dominican Republic. Currently, we're working on designing the irrigation system before moving onto implementation. We also have an irrigation project here in Arizona, at the San Carlos Apache Reservation. Join us on March 31st at 5 pm at Stillwell House & Garden. To learn more about these projects and our awesome organization. Tickets are $80, and can be purchased by emailing us at ewb.arizona@gmail.com or at the door. On April 9th, EWB-UA held our annual benefit dinner at Casa Vicente. ​What a great night! A huge thank you to all those who helped us advertise, donated auction items, purchased tickets and to everyone who attended our Noche Dominicana event! The success of this fundraiser is largely due to the support we receive from all of you and the amazing work of our officers. The money raised will go to furthering our progress in our Domestic and International Projects. Thank you! One of our biggest fundraisers, Noche Boliviana was a benefit dinner and silent auction held to raise funds for our sanitation project in Marquirivi, Bolivia. 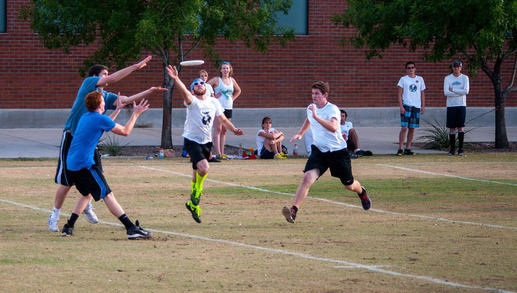 Our semi-annual Ultimate Frisbee tournament, Frisbee Without Borders, occurs every fall. All participants get a t-shirt , refreshments, and valuable prizes like gift cards to local restaurants for the winning teams!